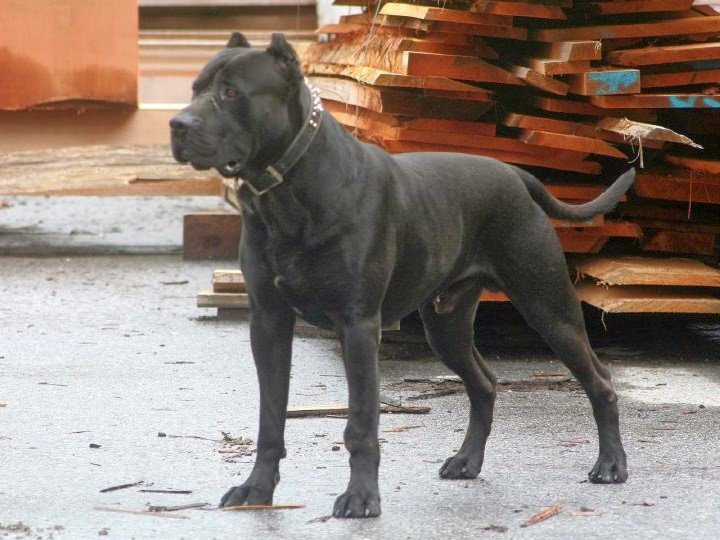 The Presa Canario is member of the mastiff or molosser group of dogs. This breed hails from the Canary Islands off the coast of Spain. The modern Presa is more of a modern re-creation of a breed due to the limited gene pool available to re-construct the breed with the surge of interest and popularity in recent years. Unlike some other members of the “mastiff” family, the Presa is not a “giant” of a dog. This is a medium to large sized mastiff with more importance placed on what the dog can do than it’s size. A short, thick coat, powerful head and muzzle, rectangle shaped body and intimidating look best describe the breed to look at. Ears are generally cropped with a natural tail. Compared to many of the other “mastiff” breeds, the Presa also has a more functional recent history and present state. This is one of the only mastiff breeds being actively competed with in dog sports including protection and obedience sports. 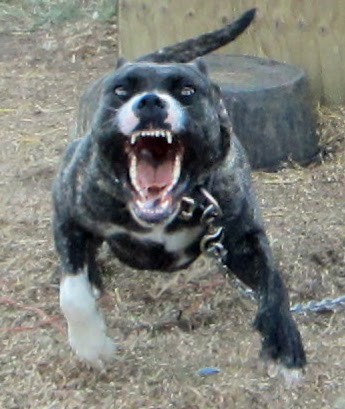 The Presa has been used as a guardian, a livestock dog, a general duty farm-dog, a family pet and a fighting dog. As with responsible ownership and breeding of any purpose-bred breed of dog, correct specimens of today (whether they are actively used or not) should have the traits that identified them as the breed when it was established. The Presa Canario is a hardy breed, not bothered by the weather in Canada in Summer or Winter. These dogs thrive on four-season exercise and activity. In a Presa, we value temperament above all else. At one time when we owned some of the more social mastiff breeds, it was explained to me that one of the things that kept the Presa unique in the dog world was it’s rustic temperament. The Presa was never intended to act like a Lab. If someone wants a mastiff to act that way, there are plenty of Bullmastiffs out there who have all ready been ruined. This breed is a rustic, primitive, simple style of dog. The Presa is easy to train, devoted to it’s family and property, healthy and able to participate in physical activity. This breed is also dominant and requires a strong minded owner willing to accept what the breed is and use the traits that the dog genetically brings to the table. My experience is that the Presa is a overly simple style of dog. Uncomplicated. There are basic facts that make life with a Presa very rewarding, acting outside of those will complicate the whole affair and add stress to the owner and the dog. When the old tales of dogs being loyal to the end, unwavering in their love, were thought up, they were talking about dogs like the Presa. We keep Presas as family and property guardians that also act as our loyal companions. We treat our Presas with firm love and respect. 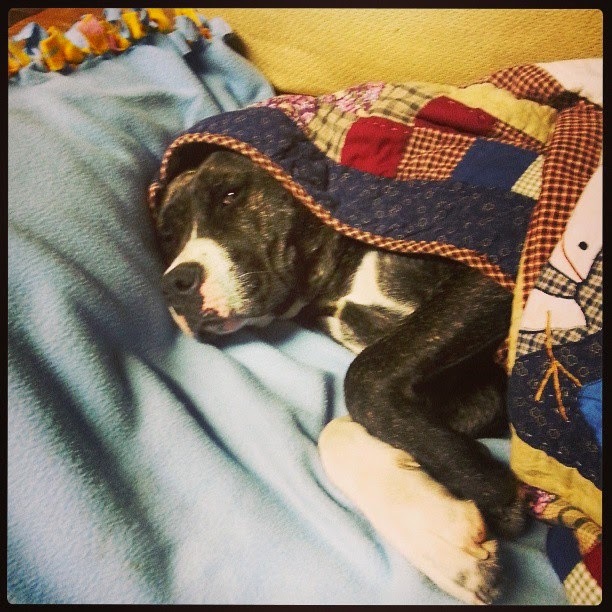 Our Presas offer us love and respect and protection to an extent I have not experienced in other breeds. We are a family run kennel in rural Alberta, Canada and are proud to be breeding some of the best blood of Presa Canarios in the world. Our stock comes from people who work their dogs and have tested their stock. Our dogs are worked and tested. No stories about what a dog in the pedigrees of our dogs has done or is, we talk about our dogs and what they have done and do.